Takashi Murakami & Yumi Terahata, International Medical Corps Japan. Takashi Murakami & Yumi Terahata, International Medical Corps Japan. Photo via International Medical Corps. 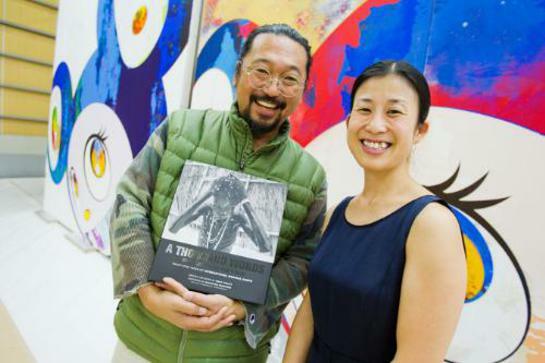 Proceeds from the sale, including works made by some of the biggest names in contemporary art selected personally by Murakami, will be contributed to humanitarian organizations including International Medical Corps, which has delivered healthcare and training services since immediately following the March disaster. 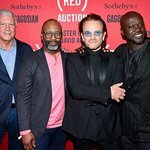 The November 9th sale in New York featured donated works from noted contemporary artists including Murakami, Damien Hirst, Jeff Koons, Yoshitomo Nara and Cindy Sherman among others. Murakami recently met with International Medical Corps Japan Country Director, Yumi Terahata, at his art studios in Saitama, Japan, to express his commitment to supporting survivors of the catastrophe.